Well looking back on my blog I see I've been neglecting it terribly! I could blame it on school, but honestly, school didn't start until late August and my last post (prior to yesterday) was in June. I'm just going to chalk it up to, "I've been super busy"! Since June, I've run a 3rd half marathon, gone camping twice, ran a race up a fricken moutain, joined the local YMCA and started swimming and taking a class or 2 per week as cross training for my running routine, successfully completed my 2nd to last semester of school, celebrated my 1st wedding anniversary, and had a total hysterectomy. So yeah... I guess I have been busy. 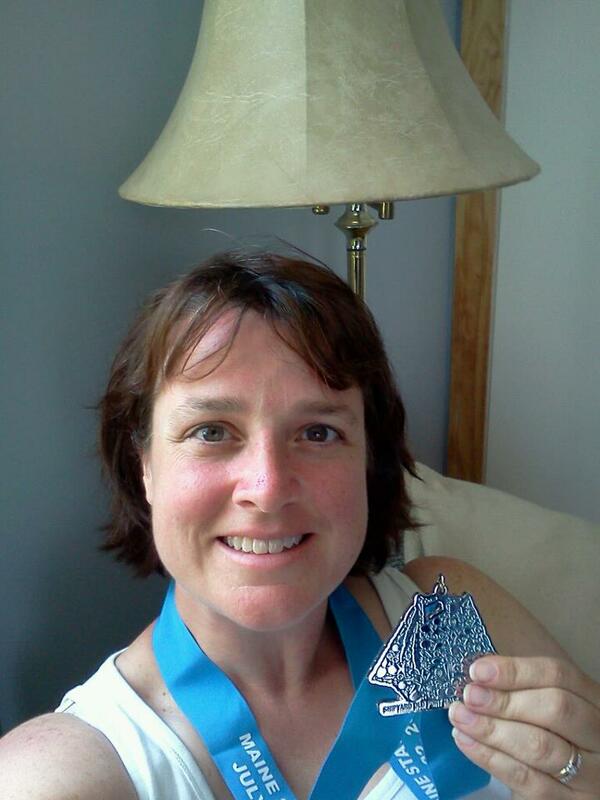 The last half marathon I ran was the Old Port Half Marathon in July. 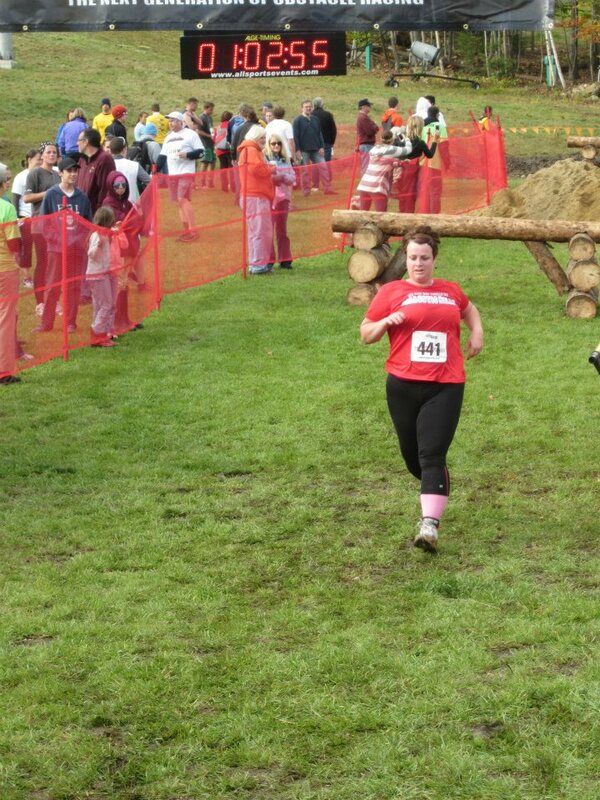 I wasn't particularly prepared for it, having just completed my 2nd half with a PR time a month prior. However, this was one I'd been waiting to do for a long time. I had originally signed up for it last year but was injured and missed it. The race organizer was nice enough to defer my registration to this year. 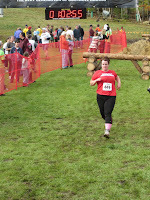 I finished the race, however, it was by far my worst time even though I felt like I paced it better than my previous race. I just wasn't prepared, I didn't have enough recovery time and prep time between the two races. No regrets. Earned a very cool medal! On Labor Day weekend I went camping (just me, myself, and I) at Cobscook Bay campground in Eastport. I chose Eastport because it is the eastern-most town in the continental US and I've never been to that part of Maine before. I really enjoyed myself even if I didn't see any exciting wildlife. The town of Lubec was having it's Annual Pirate Raid festival which was an unexpected pleasure. I really like this area of Maine. Another reason I chose this area is because I've chosen my first full marathon. 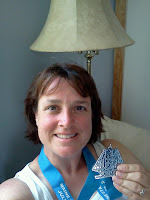 I will be running the Bay of Fundy Marathon, June 23, 2013. The marathon course is from Lubec into Canada (Campobello Island) and back. That's right folks! My first marathon will be an INTERNATIONAL RACE!! I wanted to check out the terrain. Totally doable! I completed the Mountain Raid race up Sunday River.... nuff said. School has been challenging this semester. I took 2 classes, Municipal Administration and Administrative Law. All I have left for these classes are my finals. I'm looking forward to only taking 1 class next semester! I am also trying to balance out my exercise routine to increase consistency and decrease injury. So I joined the local YMCA. I really enjoy swimming and I've rediscovered my love of step aerobics. I also try to join one boot camp/strength class per week. We have a beautiful new facility here. I'm really enjoying it! So my husband and I celebrated our 1st wedding anniversary the day after Thanksgiving. It was a low key affair, a nice dinner at the Senator Inn. I wore a dress, he wore a tie (both are rarities)! Here's to "happily ever after". And last but certainly not least, I had a total hysterectomy last Thursday. It's partially due to the recovery time that I found time to sit and update this blog. The surgery went very well and I expect to be back to work next Monday. I will admit, 6 days of bed rest has left me stir crazy! I can't wait to get back to my old routines. There is a possibility I may be able to start running again before the full 6 week recovery period... I really hope so! Marathon training will begin in earnest mid-January (after I return from my trip to Florida to visit my parents)! I'm hoping to be able to get some walk/jog time in prior to that time. I've been knitting up a storm lately! 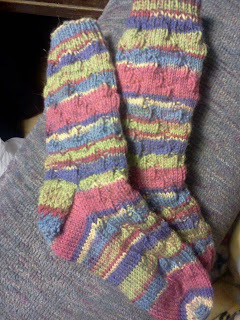 It started with awesome 80s legwarmers, then moved on to socks (I've finished 2 1/2 pairs already). I also wrote my first knitting pattern ever! It's available via this blog or as a free download on Ravelry. Well that about wraps it up. I have a killer Admin Law final to complete and my Muni Admin final is next week so lots of studying to do!! CO 48 (56, 64) stitches, divide stitches 12 (14, 16) per needle, place stitch marker at beginning of round. work K1P1 ribbing for 10 (12, 14) rows. Repeat rounds 1-16 3(4, 4) times (on the last repeat, only work rounds 1-15). The 24 (28, 32) sts on N1&N2 are the instep sts. These are on hold while the heel flap is worked. The heel flap will be worked back and forth on the 24 (28, 32) sts on N3&N4. Combine 24 (28, 32) heel flap sts onto 1 needle (referred to N1 from here on) while working row 1.
work these 4 rows 4 (5,6) times, then work Row 1 one more time to prepare to turn the heel. continue to work in this fashion until all stitches have been worked. You should have 14 (? ?, 16) stitches remaining on N1. RS: Using the same needle (N1), pick up 1 st in each edge stitch along the side of the heel flap. Pick up 1 additional st in the gap between the flap and the instep sts (instep sts are the 24 stitches that have been “on hold” while working the heel flap). Knit the next 24 stitches in pattern (work row 16 of the pattern) onto one needle (N2). You should now have all your instep stitches on one needle. Using a new needle (this will be N3), pick up 1 st in each edge st along the other side fo the heel flap plus 1 additional st in the gap between the instep sts and the heel flap. Using N3, knit 7 (?, 9) sts from N1 onto N3. You are now at the beginning of your round, you should have half of the heel sts plus sts for one gusset on N1, 24 instep/pattern sts on N2, and the other gussset and other half of heel sts on N3. repeat rounds 1&2 until you have 48 (56, 64) total stitches left. Continue to work in above pattern (without decreasing) for 44 (60, 84) rounds or until desired length minus 1.5-2 inches. Repeat these 2 rounds until 20 total stitches remain. Knit sts on N1 to N3. You should now have 10 sts on each needle. Finish with kitchner stitch, weave in ends.